In our last discussion, we talked about basics of Bitcoin, and discovered where we can buy them. 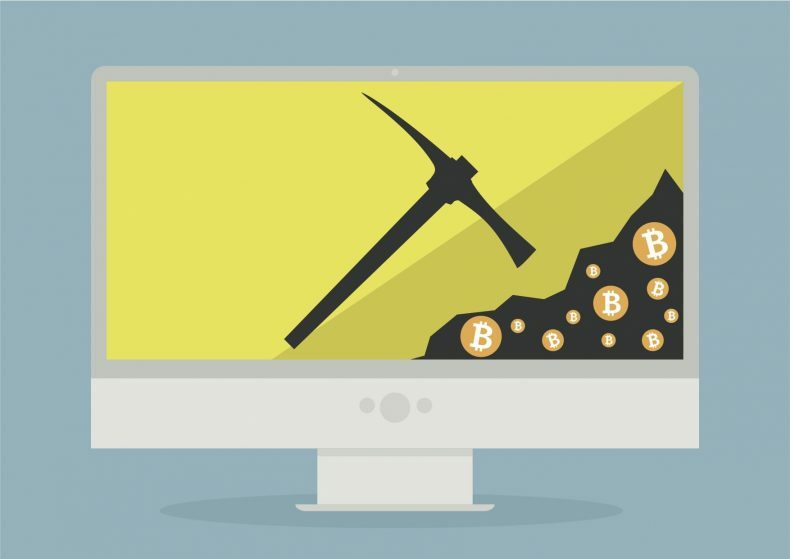 Many readers were fascinated by the idea of Bitcoin mining and wanted to know more about it. Today, we will see its working. Bitcoin network is decentralized, meaning that there is no regulatory authority monitoring and processing your transactions. One may wonder that there needs to be an organization which has a large database, to stores all our transaction history, and some powerful computers to process all the transactions going on. This is exactly what Bitcoin shuns ––one large company regulating our money. Now, if there is no organization then who runs the system? The answer is Bitcoin miners. Bitcoin miners are ordinary citizens like us who regulate transactions on their computers through mining software; anyone can be a Bitcoin miner. The main reason that makes this system decentralized is that all miners are crowdsourced. All the power of regulating this system and making necessary decisions, whenever the need arises, come down to the hands of Bitcoin miners. Bitcoin mining is very much like the mining of gold: it requires a degree of energy and time to introduce a new currency to the market. The rate at which new Bitcoins are introduced in market resembles that of gold, thus the word Bitcoin mining. Bitcoin miners run a mining software on their computer, GPU or some other specialized hardware. On this whole setup, transactions happening on Bitcoin network are checked for their authenticity, and once verified, their record is updated on a public ledger. The Bitcoin network creates a block, which contains transactions that happened in particular period, and sends it to miners. Miners verify it and create a hash of this block. What is hash? When a block of transactions is created, miner makes it go through a mathematical function, which creates a random sequence of letters and numbers called hash. This hash is made from data of transactions in the block and also the hash of the previous block. No one can tell about transactions by just looking at the hash. So, the miner’s job is to create a hash and keep adding the blocks to the Blockchain, a chain of verified blocks. Now, after verification, each block contains a hash and also a reference to blocks created before it. What if someone tries to meddle with the Bitcoin network by creating a fake block? As I said earlier, each new block is linked to the block created before it. Now, if someone tries to fake a block, the blocks coming after that fake block won’t be able to link with it. So that fake block will stand out and other miners will easily identify it. This is how Bitcoin network is secured from tampering. Once a block is verified, its record is updated on a public ledger and can be seen at sites like blockchain.info. For performing this service of mining a new block and making the Bitcoin network secure, a miner is given 12.5 Bitcoin per block as a reward – brand new Bitcoins created out of thin air. Thus, Bitcoin mining is actually mining of blocks, and Bitcoins are just the reward of the miner for running this system. This newly created Bitcoin eventually becomes the part of already circulating Bitcoins. Also that only 21 million Bitcoins will ever be mined, unless a change is made in its protocol. Almost 14 million coins have been mined so far, rest of them will take more than one hundred years to mine. One problem needs to be pointed here. If more Bitcoin miners join in and old miners use higher computational power, the number of Bitcoins mined per day will rise. This can lead to inflation, a situation in which market floods with currency and prices rise. In order tackle, this problem, Satoshi Nakamoto, the creator of Bitcoin, has designed the system in such a way that the computations involved in the mining of blocks or hashing keep getting complex with the passage of time so that few Bitcoins are mined overall. And also the reward for mining a block keeps getting halved. The reward halving and increasing complexity of computations happen in such a way that the number of Bitcoins mined per day remains steady. A clever way to control inflation. How many Bitcoins will you get on mining one block? As of now, only 12.5 Bitcoins. This reward halves for every 210, 000 blocks. When the first block was mined, 50 Bitcoins were rewarded, but when 210,001­th block was mined only 25 Bitcoins were rewarded. Next 210,000 were mined in 2016, this is when block reward was halved again. Now, 12.5 Bitcoins are rewarded per block. Next block reward halving date is expected to be around 2020. There are dedicated sites like bitcoinblockhalf.com that try to predict the time when next Bitcoin block reward will halve. So, if that’s the case, then Bitcoin mining will no longer be a profitable business in near future. No, Bitcoin miners are also awarded the transaction fees paid by the users. So, in the future when the number of new Bitcoins awarded to miners will decrease, the transaction fees will make a much bigger percentage of their income. In the early days of Bitcoin, people used their personal computers for mining, as computations related to mining were simple back then. As time passed, computations involved in verifying transactions became increasingly complex. Thus, Bitcoin miners are now using specialized hardware, like GPUs and FPGA, which are very fast compared to personal computers. Still, it can take a long time for individuals to get a few Bitcoins. That’s why they have organized themselves to share their computing power and focus on processing one block. Each miner gets a fraction of newly created Bitcoin, which depends on how much computing power is shared in the pool.